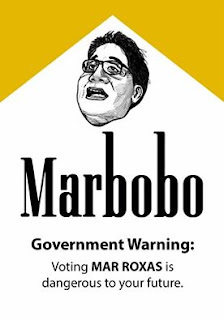 The Liberal Party desperate to get Mar Roxas to become president launches the new product "Marbobo". Marbobo is described as the new cigarette brand that makes you "feel high" while claiming to use a special kind of tobacco. To prove the point, President Nobita smoked some Marbobo cigarettes showing how the cigarettes makes people feel good. BBDO Secretary David Guerrero endorsed Marbobo by saying, "Smoking is more fun in the Philippines." 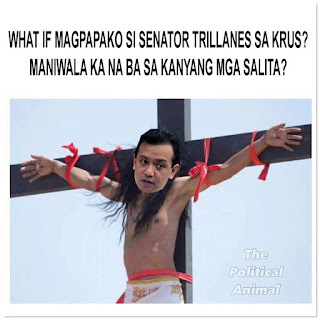 Among the others who smoked Marbobo with President Nobita were former CHR chairperson Etta Rosales, DOTC Secretary Joseph Pabaya, DSWD Secretary Stinky Soliman, Energy Secretary Jericho Petilla, Budget Secretary Butcher Abad, former DILG Secretary Rico Puno, BOC Secretary Alberto Lina, Airport General Manager Jose Devil Conrado and two new CHR employees Kasindak Puslit and Filipo D. Hippo. The tagline of Marbobo is, "Smoke Marbobo and smoke your problems away." During the smoking rally, those who smoked Marbobo later fell into states of lunacy. Investigation of why Marbobo Cigarettes caused them to fall into lunacy will follow soon. Those who smoked that kind of cigarette become World Health Organization's models. Their situation has become all cigarette brands' pictures for graphic warning.